He has spent time at Minardi, Renault, McLaren and Ferrari in his 17-year career, and won two World Championships. Although widely regarded as one of the best drivers ever, the Spaniard was not averse to a little controversy during his time in F1. We have put together a list of his best and worst moments in the sport. Having driven for Minardi in 2001, Alonso moved to Renault as their test driver, under the wing of Flavio Briatore, the team principal of Renault at the time. The Spaniard went on to win both the 2005 and 2006 World Championships, defeating fierce rivals Michael Schumacher and Kimi Raikkonen. At the time, he became the youngest World Champion (2005) and double World Champion (2006), only for both of those records to be broken by a certain Sebastian Vettel in 2010 and 2011. When Fernando claimed his first title, it prompted arguably one of the best celebrations in the sport’s history. How he only has two Championships, though, is a real surprise. Alonso lost out in the final race of the season in 2007, 2010 and 2012. From singing in his early days in F1 to ranting and raving in his latter years in the sport, Fernando has always given the fans something to talk about with his radio messages. A version of “We are the Champions” came after winning his second title in 2006, but it he has gotten progressively angrier throughout his career. One of his most infamous lines in the sport was “GP2 engine, GP2”. McLaren were in their first year with Honda, and it just happened to be said over the radio waves at Suzuka, Honda’s home race… Awkward! More recently, the “Now we can fight” message from Australia has come back to bite him on the backside. As Toro Rosso demonstrated later in the 2018 season. One of his most famous radio conversations actually came when he wasn’t in the car, or even the country. Alonso was in the States preparing for the Indy 500, with Jenson Button taking over his McLaren for the Monaco GP. Cue Jenson and the old pee in your seat joke! 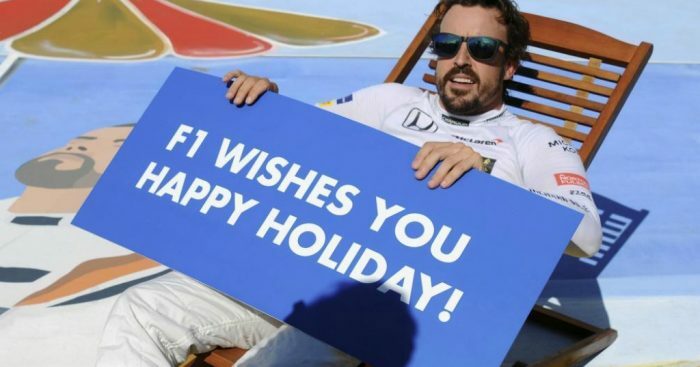 As well as his on-track antics, we have seen the funny side of Alonso plenty of times off the track. Unfortunately, the humour has often been because of the rather grim situations he has found himself in. 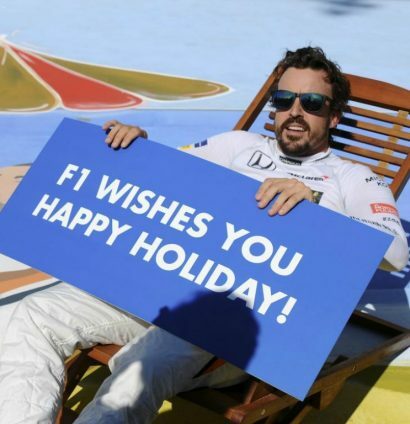 Firstly, we have to talk about THAT deckchair moment at Interlagos. 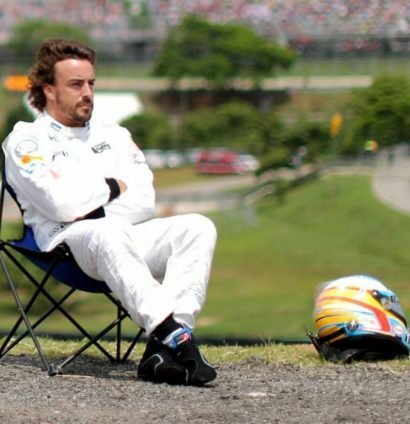 This iconic image led to the Twittersphere going into meltdown with the hashtag #PlacesAlonsoWouldRatherBe. From The Hangover, to Where’s Wally (or Fernando in this case), some of the responses were fantastic. And it got even better, when in Hungary in 2017, Liberty got Alonso to pose for this photo, ahead of the summer break. The absolute epitome of zero f***s given. Back to Brazil now, and this time in 2016, guess what? You got it, his McLaren broke down yet again. Maybe TV isn’t his bag when he retires from racing? 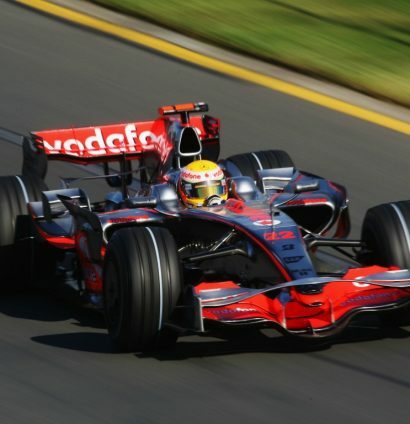 In 2007 double World Champion Alonso was teamed up with rookie McLaren protege Lewis Hamilton. It went horribly wrong very quickly. Alonso was handed a five-place grid penalty for the incident, which gave the Brit pole position. McLaren were not given any Constructors’ points for the race weekend, and were also not presented with the winning trophy for the team. Alonso has been involved in many a controversy during his long career in Formula 1, with arguably the biggest of all coming in that same season at McLaren. The team’s chief designer, Mike Coughlan, was found to be in possession of a 780-page document of Ferrari intellectual property. On the morning of the aforementioned Hungarian Grand Prix, Alonso told team principal Ron Dennis that he had some incriminating emails, sent between himself, Coughlan, and reserve driver Pedro de la Rosa. He also told Dennis that he would hand them over to the FIA if Dennis did not rein in Hamilton. Eventually, the team were excluded from the Constructors’ Championship, which led to them having the numbers 22 and 23 on their cars in 2008, and McLaren were given a record-breaking $100 million fine. A year later, and Alonso was involved in another big controversy. The Crashgate cheating scandal. The Spaniard, himself, was not blamed for the incident, or punished by the FIA, but his victory in the Singapore Grand Prix in 2008 was tarnished by the allegations that came out afterwards. Team-mate Nelson Piquet Jr had been told to crash his Renault after Alonso had made his early pit-stop, with the whole thing leading to Alonso winning the race. However, when Piquet was sacked, the proverbial hit the fan. 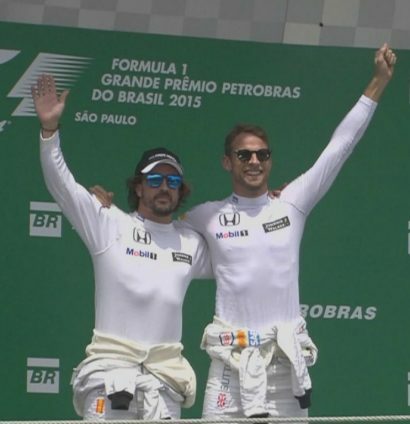 Briatore and Symonds left the team, but Alonso kept the victory.. He still counts it, despite Simon Barnes of The Times calling it “the worst single piece of cheating in the history of sport”, because of the fact the crash could have had serious implications on fans, stewards and even Piquet Jr himself. And he still didn’t win the Championship… despite this “dirty win”. Many regard Alonso to be one of the best to ever drive in Formula 1, but his career has been littered with poor career choices. THAT McLaren move in 2007, then the return to a fledgling Renault team just a year later. However, arguably his biggest mistakes were not signing for Red Bull on the “six times” he was asked, and, of course, the McLaren return. In his four years with the Woking outfit since he rejoined them in 2015, the Spaniard has not set foot on the podium, apart from with Jenson Button in Brazil (the same weekend as the deckchair). Just four P5 finishes have come from his second stint with McLaren, and his last victory came back in his Ferrari days, at his home race in Spain, in 2013. Each of these dreary stats act like a kick to the stomach. Back in 2014, Ron Dennis claimed the Honda engine they would use the year after was “a piece of jewellery” and it had “competitiveness without question”, as Alonso signed for McLaren to become the highest paid driver at the time. It is safe to say that we will miss Fernando Alonso, and so will his former team Renault, who posted these lovely photos of their double World Champion. So, there we have it, Fernando and Formula 1 have gone their separate ways. Hopefully there is an opportunity for him to come back for one final pursuit of happiness and leave on the right terms.